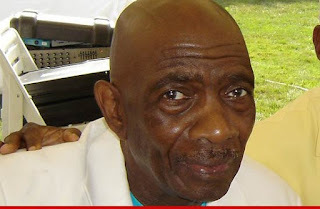 "A Different World" Star Lou Myers -- famous for playing Mr. Vernon Gaines on the 80s show -- has died, TMZ has learned. The President of Lou's non-profit tells TMZ, Lou passed away last night in West Virginia at the Charleston Medical Center following a heart-related emergency. Lou was hospitalized in December for pneumonia but released after New Year's. He collapsed at home a few weeks later and was hospitalized again. Lou's heart stopped yesterday. Doctors were able to revive him, but he fell into a coma and passed just hours later. He was 77. And yes, his Wikipedia and IMDb pages are incorrect. We're told he lied about his age. According to official records, Lou's birthday was September 26, 1935. As one source put it, "You know how actors are." An autopsy has been scheduled to determine the official cause of death. We're told Lou -- who served in the Army -- will receive a military burial in West Virginia. He is survived by his son and his 95-year-old mother.